The Blue Cut fire in Southern California’s High Desert, August 2016. Image credit: HLM Photography. 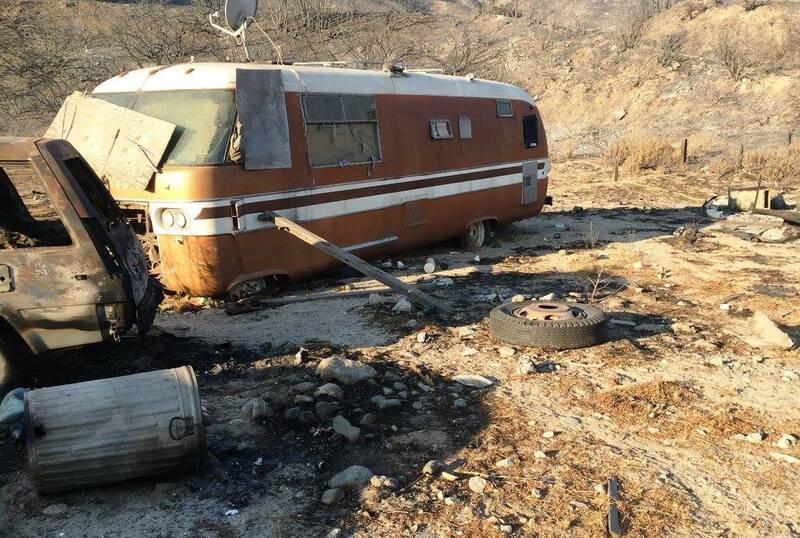 Last August, the Blue Cut Fire ravaged the High Desert area of Southern California. 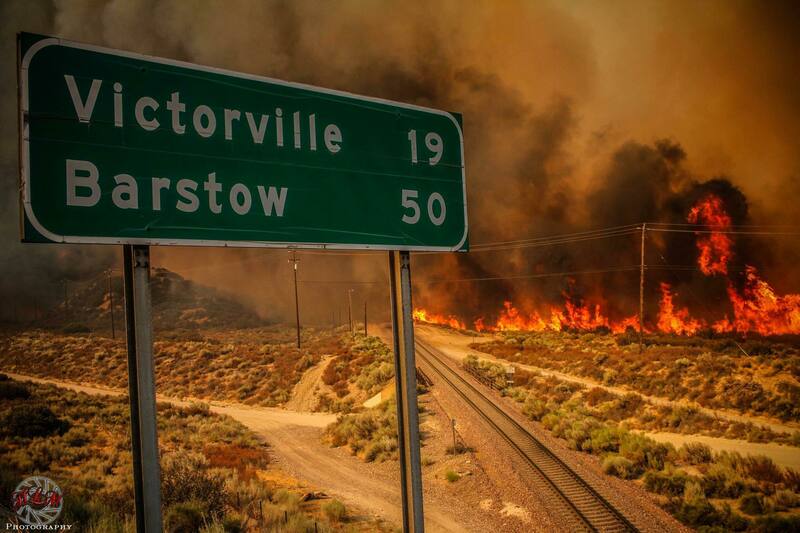 It burned 36,274 acres, destroyed 105 homes, 216 other structures, and forced the evacuation of over 82,000 residents. With evacuations happening rapidly during the fire, people needed a place to take their animals. Those with smaller animals were directed to local shelters where nearly 400 were shuffled through. A temporary location for larger animals was established at the San Bernardino County Fairgrounds in Victorville, CA. They watched over an estimated 119 horses, 250 goats and countless other farm animals. Another location helping care for animals affected by the fire–both during and after–is the Mojave Desert Animal Rescue. The goal of the Mojave Desert Rescue is to provide supplies and resources to low income seniors, veterans, and those in need, to help feed and care for their animals. This objective carried over to the evacuees of the Blue Cut Fire. Amid the chaos of evacuating, some pet owners did not have time to take their animal’s food, leashes, crates, or cat litter boxes with them. Thankfully, Annie Lancaster, founder and director of Mojave Desert Animal Rescue and a Vet Tech trained in Emergency response, was there to help. For many evacuees, money was tight and some had to choose between buying food and clothes for their families or for their animals. “I did not want people to have to make the choice between feeding themselves or feeding their pets,” Annie says. This lead to the Mojave Desert Animal Rescue taking donated cat and dog food along with other pet supplies and distributing them to those people who needed them. According to Annie, their primary focus is “fostering the human-animal bond,” which they did through their generosity. It took over three hours to rescue Lily from under this bus. Another large aspect of aiding the displaced animals of the High Desert was tending to wounds caused by the fire. Injuries ranged from smoke and ash in eyes and ears, to scrapes and cuts, to third degree burns. Annie witnessed the fire’s devastation firsthand while responding to calls about burned dogs. On one such call she found a dog stuck beneath the skeletal remains of a charred bus. It took over three hours to rescue the dog and when she was finally out, she discovered the dog had suffered third degree burns on her paws. The burns were so severe that the pads on her feet were almost completely burned off. Annie took it upon herself to care for the dog, even giving it a name: Lily. 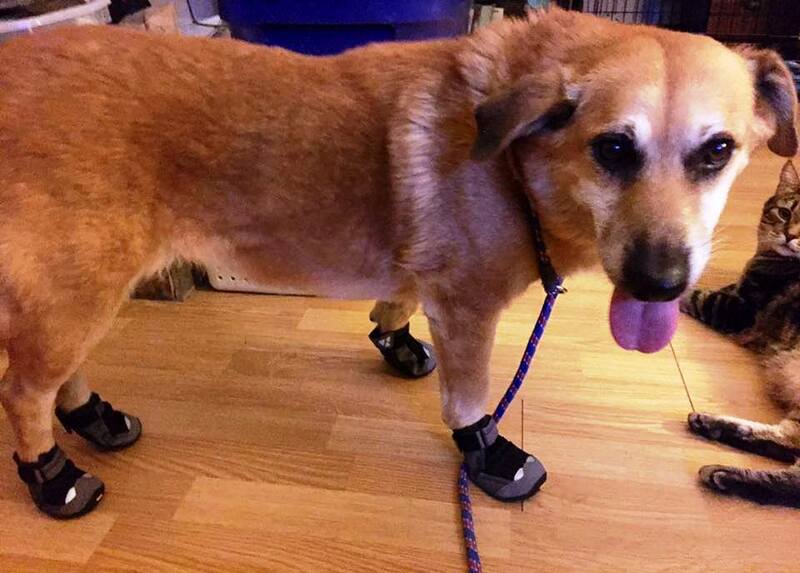 Lily with protection on her burned paw pads. Through the dedication and care provided by Annie and her staff at the Mojave Desert Animal Rescue, Lily is expected to recover. 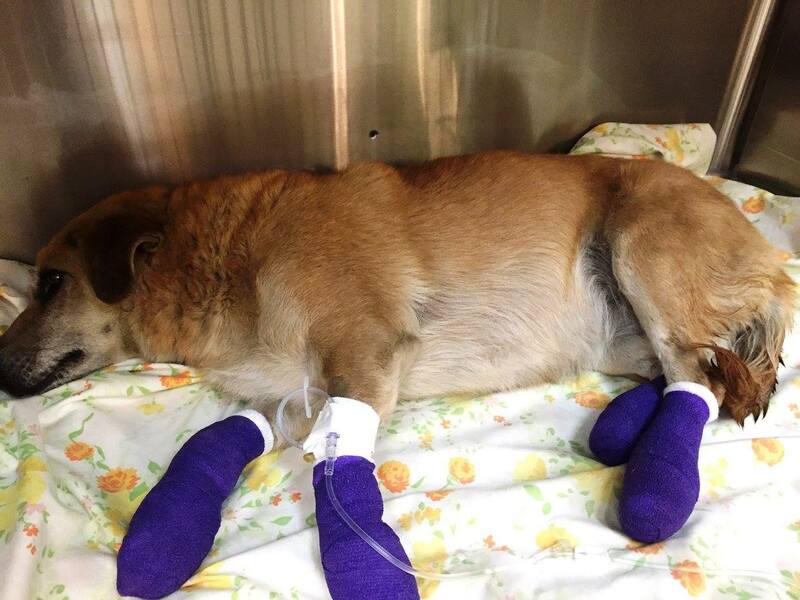 But for Lily, and the many other animals injured by the fire, recovery is a delicate process. Animals must be closely monitored as the threat of Parvo is very high in the area. 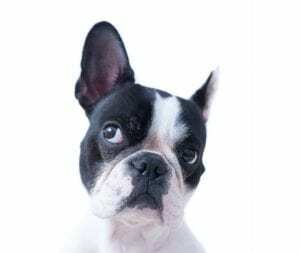 In fact, California is ranked #1 in the Top 10 Parvo Areas in the U.S., according to parvobuster.org. To help clean wounds and speed up the healing process, Annie and her vet techs use products donated by Vetericyn. 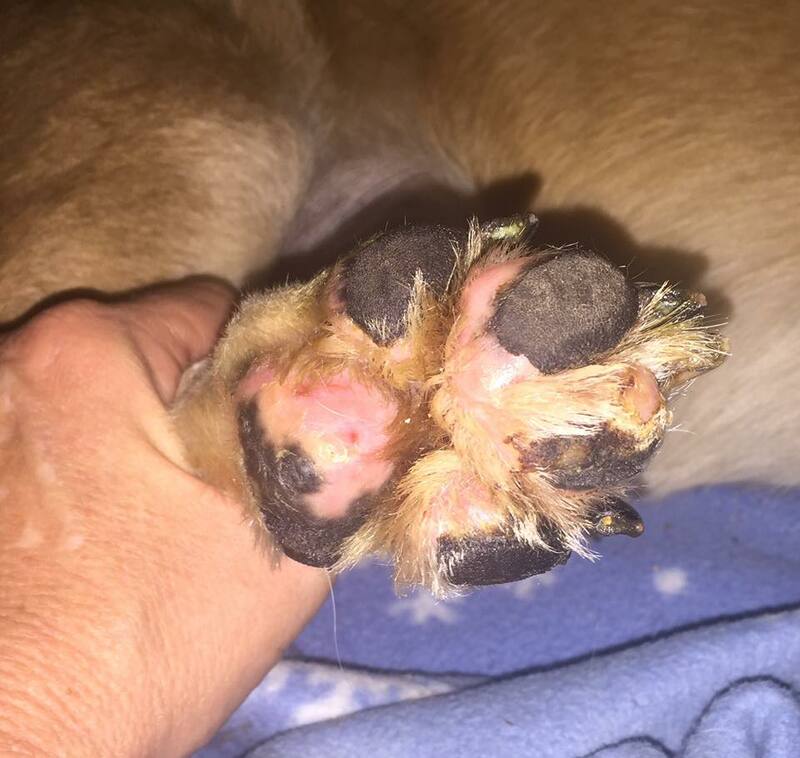 In Lily’s case, Annie is using Vetericyn’s Antimicrobial Hydrogel spray, which she refers to as “liquid gold”, to moisturize and help heal what is left of the pads on Lily’s paws. Lily’s paws begin to heal after being severely burned. Getting through the fire was a learning experience for Mojave Desert Animal Rescue and their community. Annie and her team would like to remind us to keep our emergency kits ready, and to not forget supplies for our animals. She recommends keeping Vetericyn in emergency kits in addition to storing crates, beds, extra food, and leashes where they are easily accessible in case of evacuation. The shelter also suggests getting pets microchipped for easy identification, if at all possible. Lily’s back on her feet thanks to the High Desert Animal Rescue! Vetericyn believes in giving back to those making an impact in the animal and agricultural industries. From product donations to shelters, scholarship programs for the Ag industry, to community events and company partnerships, we’re proud to help where we can. Moreover, we’re grateful for the support of our customers across the country. They allow us to assist those who do so much for the industry and the animals that are part of our livelihood and our family. If you’d like to help the Mojave Desert Animal Rescue, visit their website at animalresq.org. To learn more about volunteering or helping a shelter in your area, contact us.